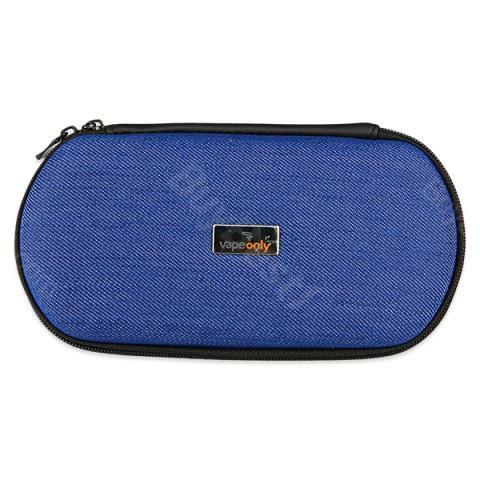 This electronic cigarette zippered carrying case is genuine VapeOnly product, XL/Mega size​. • This electronic cigarette Zippered Carrying Case is Genuine VapeOnly product, XL / Mega size. This electronic cigarette Zippered Carrying Case is Genuine VapeOnly product, XL / Mega size. There is a thin film on the metal “VapeOnly“ logo to protect it from scratching. VapeOnly e-Cigarette Zipped Carrying Case - XL/Mega is a mega cigarette carrying case. Zipped for easy opening and closing made from jean material. With a length of 19cm,width of 8.5cm and a thickness of 5.4cm.